If there ever was a time to pack up the kids and the kayaks and travel to Henderson, Kentucky, now is the time! On July 22, 2017 the 7th annual River Heritage Day Celebration will feature sanctioned paddle races on the Ohio River, along with tons of other family friendly activities. This is the second year for the Little Rascals River Run, which allows for serious racers and recreational paddlers to compete for prizes in long-distance and short-distance races. 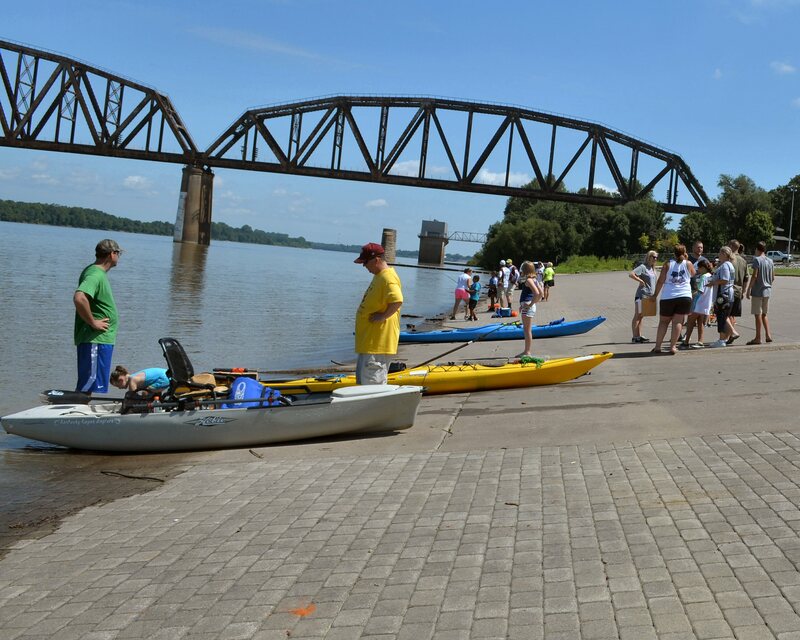 Competitors with their eyes on the prize can register for the Western Kentucky Battle for the Paddle, a 14-mile race on the Ohio River that begins at Inland Marina and finishes at the Henderson Riverfront. Those want to participate alongside competitive kayakers might be interested in the Friendly Float, also a 14-mile course for casual paddlers that is held in conjunction with the Western Kentucky Battle for the Paddle. Novice kayakers and nature enthusiasts can opt for the short 4-mile race. It is open to both adults and youth. The deadline to register is July 17th! Click this link for more information. There will be a free paddle Safety Course for all ages at Audubon State Park at 5:00 pm. This is a great course for any youth or beginners that plan to participate in the kayak races on the river. Play and you could win some prize money! Registration begins at 9:00 am. Tournament begins at 10:00 am. Register from 10:00 am-11:00 am. Fishing begins at 11:00 am. All fishing gear, bait life jackets are provided. Each kid must have an adult with them at all times. Prizes will be awarded at noon. Arrive from 10:00 am – 1:00 pm to decorate and register your decoy duck. At 2:00 pm, the Ken-duck-y Derby will begin upriver, watch your duck race towards the finish line! Prizes for the top finishing ducks will be awarded at 3:00 pm. Whether you spend the whole day, or just stop by for a bite, all can enjoy the all-you-can-eat catfish and chicken jambalaya dinner! The dinner takes place at On Deck Riverside Bar & Grill, from 5:00 pm – 8:00 pm, but we recommend getting there early, because the tickets sell fast! Get your ticket in advance at the Depot Community Room at 101 N. Water Street. The cost is $12.00 for adults and $6.00 for kids (age # and under). All proceeds from the River Heritage Day Event go to benefit the Children’s Advocacy Center in Henderson. If you want updates on other events like this one, sign up for our Monday E-Newsletter!